As the weather gets progressively worse, you may find your fence breaking, and you may need to rebuild one. We are here to give expert advice and we are focusing on how to build a fence. Fencing almost provides the divide between your house and your neighbour’s house, nice fencing is important to a nice garden with a nice surrounding. The first step is to remove the damaged panel, you’ll need to remove the screw with the wonder bar and hammer. You should hit the back of the panel to expose a gap, this will create a gap for you to fit the wonder bar in and remove the panel. Measure the size of the replacement piece. Use the saw to cut the piece to the desired length, this size should be the same as the previous panel. Once you’ve cut the fence panel to the correct size you are ready to mount it. You should cut two small pieces of wood to the exact distance between panels. Position the replacement panel and use the two small pieces as guides. Put the two small measurement pieces between the new panel and either adjacent panel, this way you can know exactly where to position the new panel. After this you should drill pilot holes. Use two screws per beam to hold the panel to it, making a total of four fastening points. Then you should mark where the panel intersects the beam and hold it in position so that you can make four small pilot holes using the screwdriver and a drill bit. You must make sure you drill into the beams as well. Finally it is time to mount the panel. With the drilled holes, place the screws or nails into the panel, ensure the panel is in the correct place before screwing deep. Once you are sure it’s set properly, set the screws or nails completely. 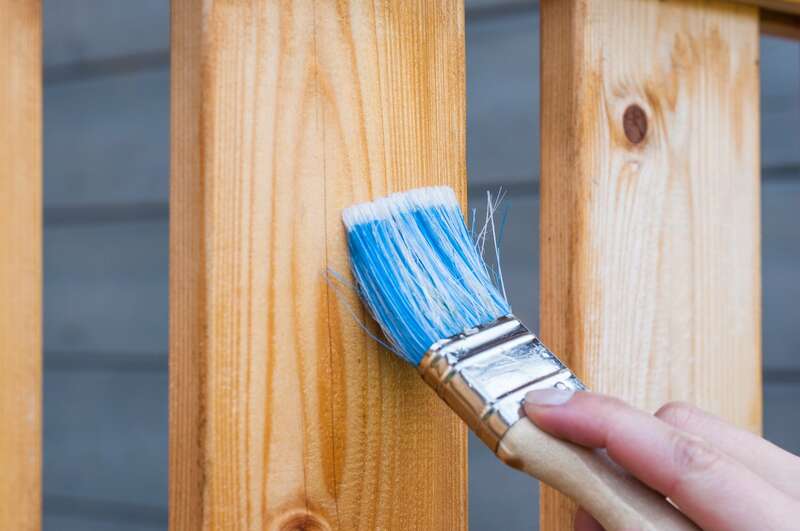 There are several ways to repair a fence, remove panels or fix a fence. You’ll need to repair the fence with protective safety gear, this should prevent injuries or damage to your body. If you are going to be using concrete, ensure you wash your hands after as we cement can burn.